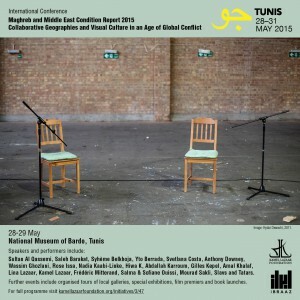 At JAOU Tunis symposium on Visual Culture in an Age of Global Conflict, we spoke to Moncef Dhouib, Tunisian film director, actor & screenwriter. The symposium was at the Bardo Museum, Tunisia as it had been last year, despite attacks on tourists this March by militants. Dhouib, a veteran actor, screenwriter, producer and puppeteer is a pioneer in the Tunisian performing arts. 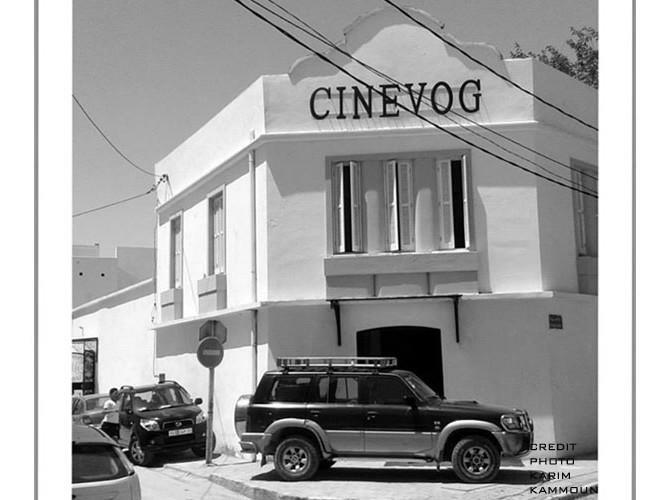 Dhouib describes his project CinéVog, a local theatre complex model for theatres which he wants to spread across the Maghreb to bring the performing arts back to the people. Also young Tunisian dancer and choreographer Wael Maghni describes how he reconciled his dance practice with his belief in Islam and the current state of employment and opportunities for dancers and choreographers in Tunisia today. 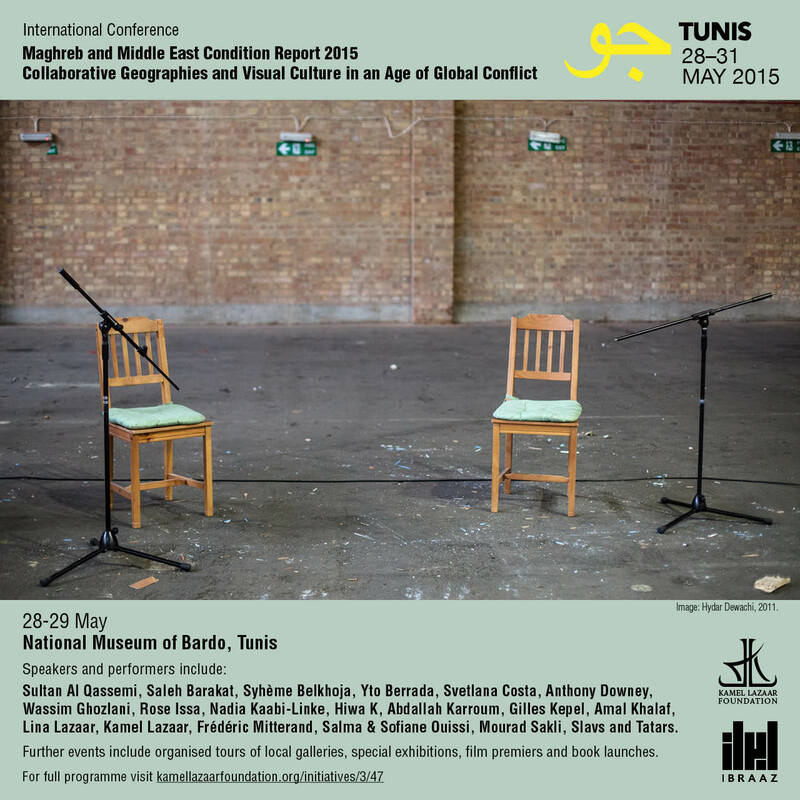 Maghni was on the symposium roundtable ‘Maghreb Condition Report I: The Choreographed Body in Tunisian Culture’. Interviews are in French. This entry was posted in Six Pillars to Persia and tagged 104.4fm, bardo museum, choreography, chris weaver, cinevog, dance, Fari Bradley, french, ibraaz, kamel lazaar, london, maghreb, Moncef Dhouib, podcast, podcasts, politics, radio, resonance, Resonancefm, social, theatre, tunis, tunisia, tunisie, uk, Wael Maghni on July 2, 2015 by sixpillarstopersia. At JAOU Tunis conference May 2015 artist Chris Weaver speaks with Antonia Carver, director of Art Dubai, after the panel ‘Future Imperfect: Art Institutions in the Middle East’, and Rahilla Zafar, author and business consultant about her book on Arab women entrepreneurs. Antonia Carver has written extensively on Middle Eastern art and film, as a correspondent for The Art Newspaper and Screen ArtDubai International, among other publications, books and journals. Rahilla Zafar writer, editor and business development consultant for Wondros, contributes to The Economist’s GE Look Ahead, an award-winning series on global innovation trends. Rahilla co-wrote ‘Arab Women Rising: 35 Entrepreneurs Making a Difference in the Arab World’ and is working on a book on women in Saudi Arabia. 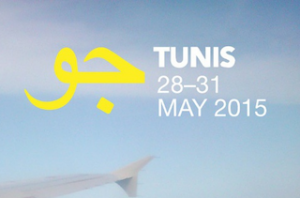 After the Bardo Museum attacks on tourists in 2015, JAOU festival did not deter from holding its annual arts events again at the Tunis museum. This entry was posted in Six Pillars to Persia and tagged antonia carver, arab women, arabic, Art, art dubai, Art Institutions, arts, bardo museum, chris weaver, entrepreneurs, interview, jaou tunis, middle east, podcast, radio, Rahilla Zafar, Resonance FM, Resonancefm, Six Pillars to Persia, tunis, tunisia on June 24, 2015 by sixpillarstopersia. This entry was posted in highlights, Six Pillars to Persia and tagged 2015, arabic, arts, bardo museum, chris weaver, comment, dubai, festival, ibraaz, jaou, kamel lazaar, listen, maghreb, middle east, podcast, radio, resonance104.4FM, Resonancefm, six pillars, Six Pillars to Persia, socio-political, sultan al qassemi, symposium, tunis, tunisia, UAE, uk on May 16, 2015 by sixpillarstopersia.